Excerpted from Inside Higher Education’s article Grading the New SAT. (1) The current writing test, in which students cite their own experiences or values to respond to a statement, will be replaced with one in which students respond to a passage of writing, and must analyze evidence. The students will be evaluated on both their analysis and their writing. (2) The writing test will be optional. Currently, even though many colleges ignore writing test scores, all students must take the writing portion of the test. (3) Reading sections, like the writing section, will see a shift in focus so that students must cite evidence from passages to support their answers. (4) The point scale will return to 1600, as it was before the writing test was added in 2005, when the scale changed to 2400. Those who take the writing test will receive a separate score for that. (5) Points will no longer be deducted for incorrect answers on the multiple choice part of the test. Currently, one-quarter of a point is deducted for each incorrect answer, so students engage in strategy games about when they have eliminated enough incorrect answers to make it worthwhile to guess. (8) Mathematics questions will be narrowed to focus on three areas: “problem solving and data analysis,” algebra and “passport to advanced math.” The College Board says that the much wider range of topics now featured will be eliminated so that students can study specific areas and feel confident they will be tested. 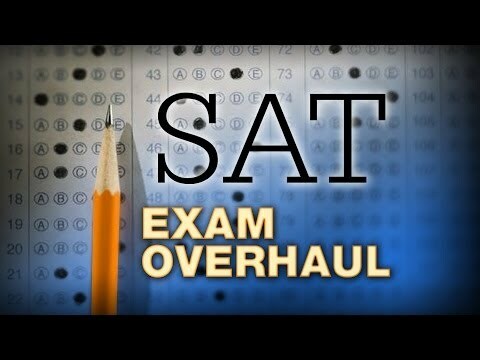 (9) Print and digital versions of the SAT will be offered; currently the test is paper only.